Kim Philby, the so-called Third Man in the Cambridge spy ring, was the Cold War's most infamous traitor. A Soviet spy at the heart of British intelligence, at one point heading up the section tasked with rooting out Russian spies within MI6, he betrayed hundreds of British and US agents to the Russians and compromised numerous operations inside the Soviet Union. Ian Innes 'Tim' Milne was Phiby's closest and oldest friend. They studied at Westminster School together and when Philby joined MI6 he immediately recruited Milne as his deputy. Philby's treachery was a huge blow to Milne and, after he retired, he wrote a highly revealing description of Philby's time in the secret service. 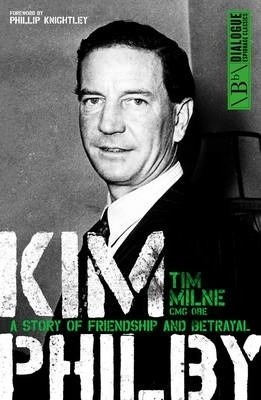 Publication of the memoirs was banned by MI6 but, after Milne's death in 2010, his family were determined that this insider's account of the Philby affair be published.